What about the borders of the fields? 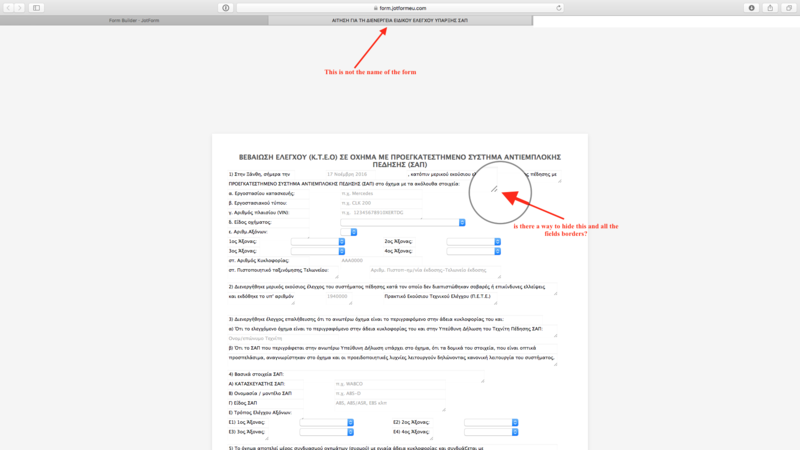 Another problem is that the name of the form in the browser is wrong. Also I am wondering if there is there a way, when the user press the submit button to send a pdf file of the form to dropbox? To change the title of your form, please go to Preferences > Advanced > Show More > Page Title, then change the Title of the Form. 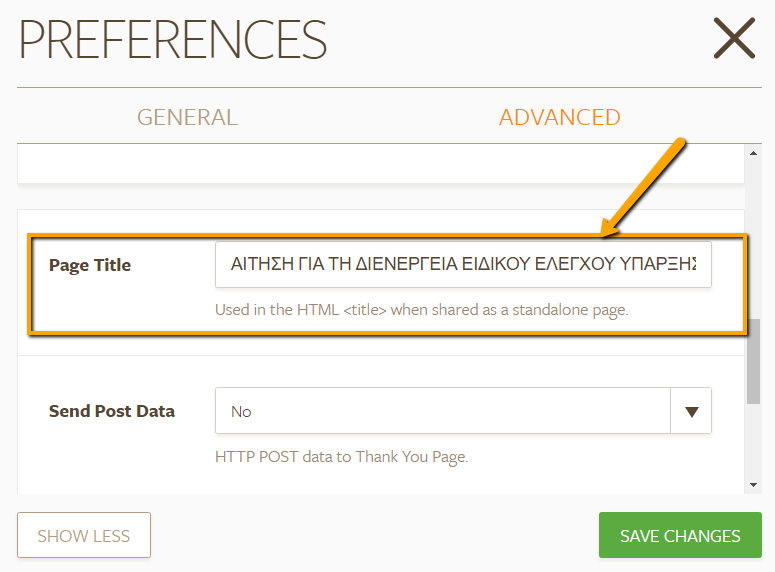 Related Guide: How to Change the Page Title of the Form. I'm currently checking your other concern about the border of the fields. I'll get back soon once I found a proper CSS to remove the border of the fields in your form. I have moved this concern to other thread, so that we can better assist you. Please follow this thread: https://www.jotform.com/answers/997508. 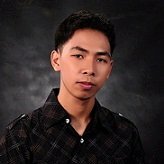 To inject custom CSS code to your form, just follow the instructions provided in this article: How to Inject Custom CSS Codes. Regarding on the lines displayed at the corner of the textarea field, unfortunately, we cannot hide it as it is the default design of the textarea in html. 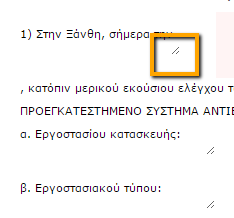 what to do to allign the print and submit button to center. 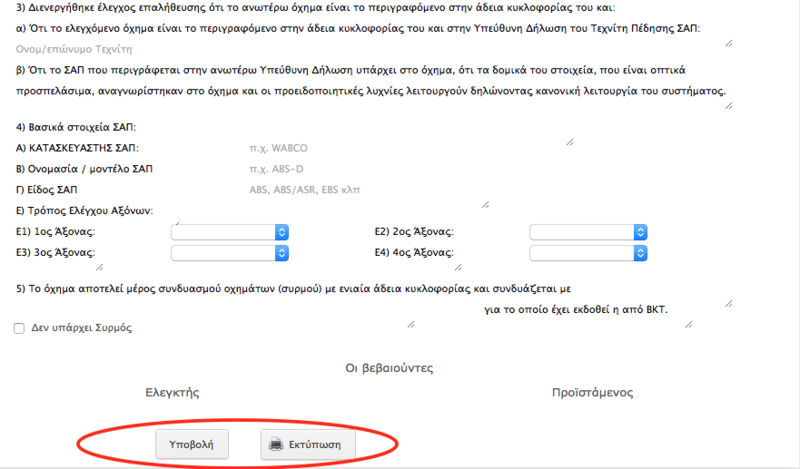 Although i select centre allignement when creating the form, in preview they are not allign. We are going to answer your question at that link.